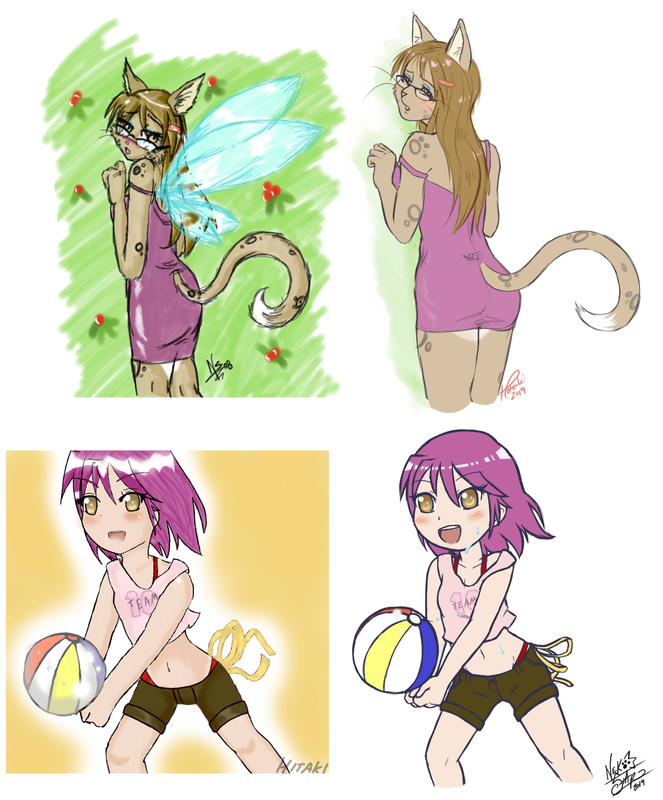 So basically my sister and I gave each other a picture that was 10 years old, and then the other person had to redraw it! This was a lot of fun, and I love twisting my sister's arm to draw anthro girls, cuz she does a great job and they're so cute haha! Anyways, hope you guys enjoy! LOL. Do I spy a shadman reference? I don't.... think so? What reference?